What’s better than some warm comfort food on a frigid day? Also, this one provides for plenty of leftovers so you’ll get a few meals out of it. A classic favorite. This stuff is the BEST! 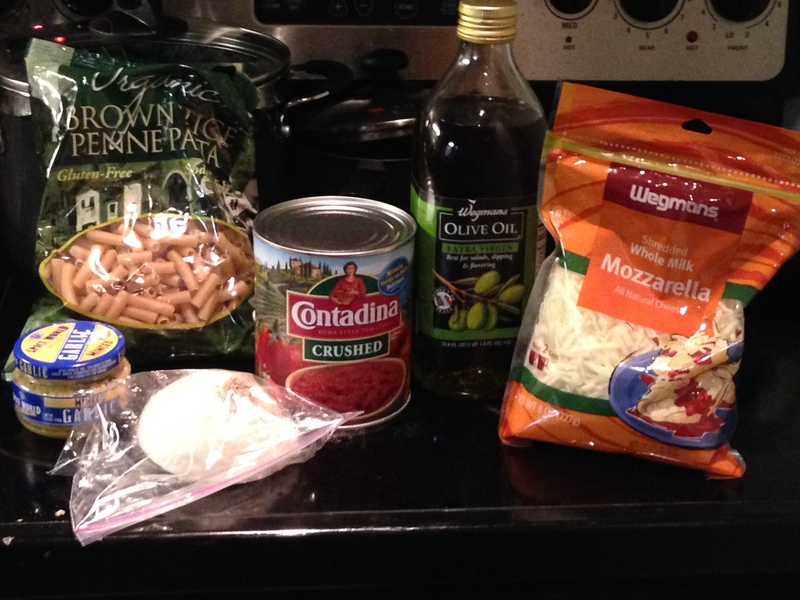 Definitely snag some for any Italian inspired meals you’re making. 1. Preheat oven to 350°F. 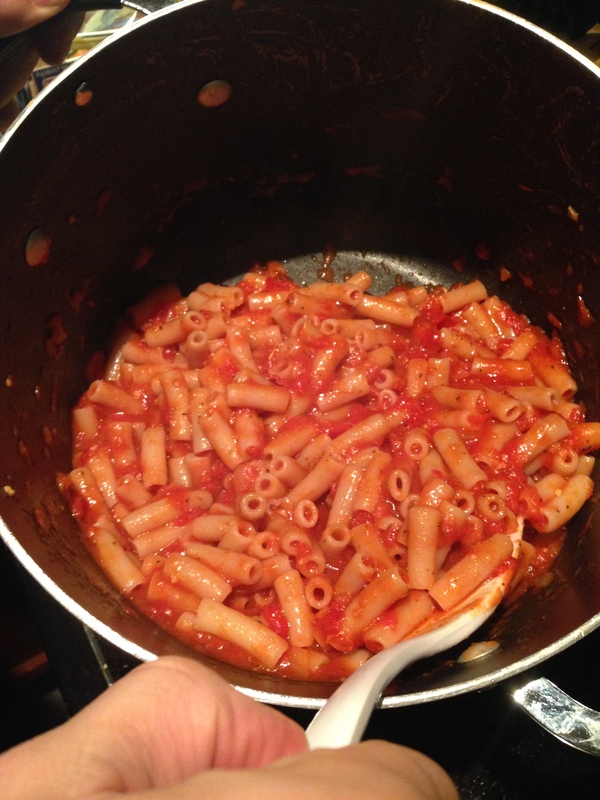 Cook pasta according to package directions; drain and set aside. 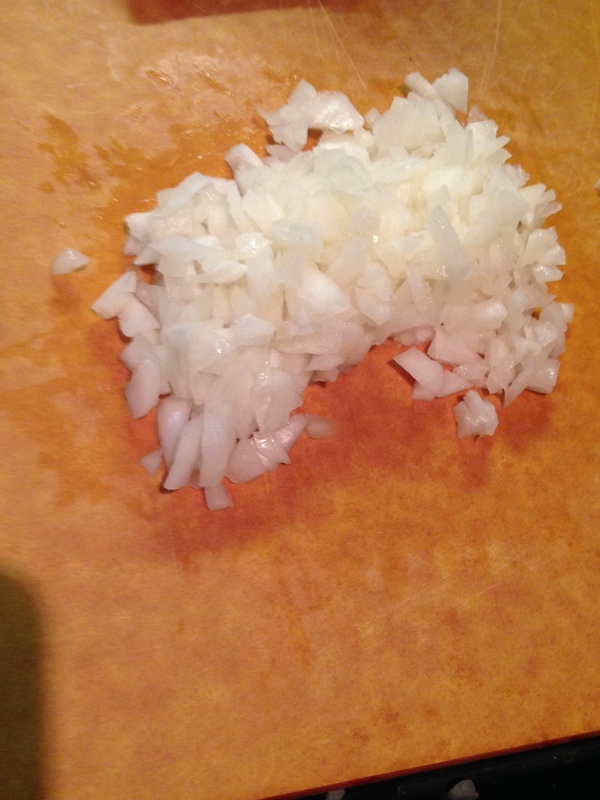 Chop your onion. 2. 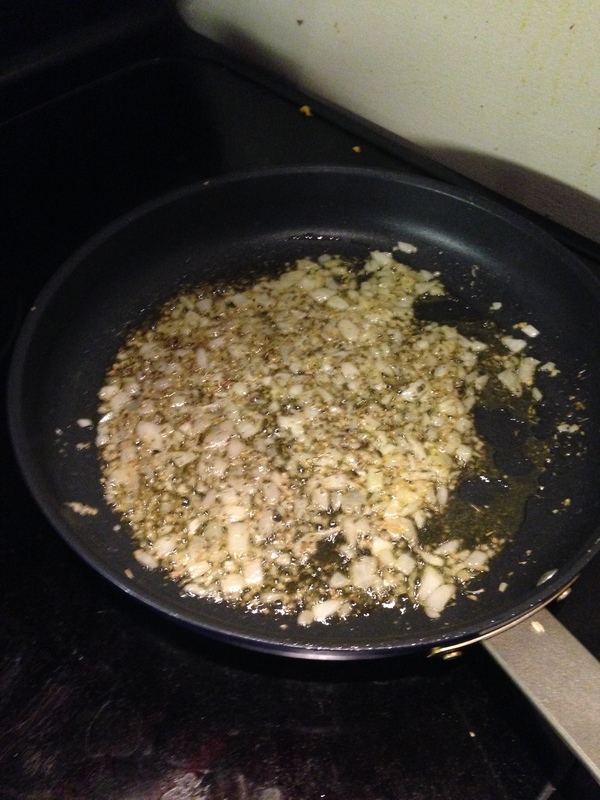 Heat oil in a medium saucepan over medium heat; add onions, garlic, and 1 tsp Italian Seasoning and sauté 2 minutes. 3. Add tomatoes and bring mixture to a boil; reduce heat and simmer for 5 minutes. 4. 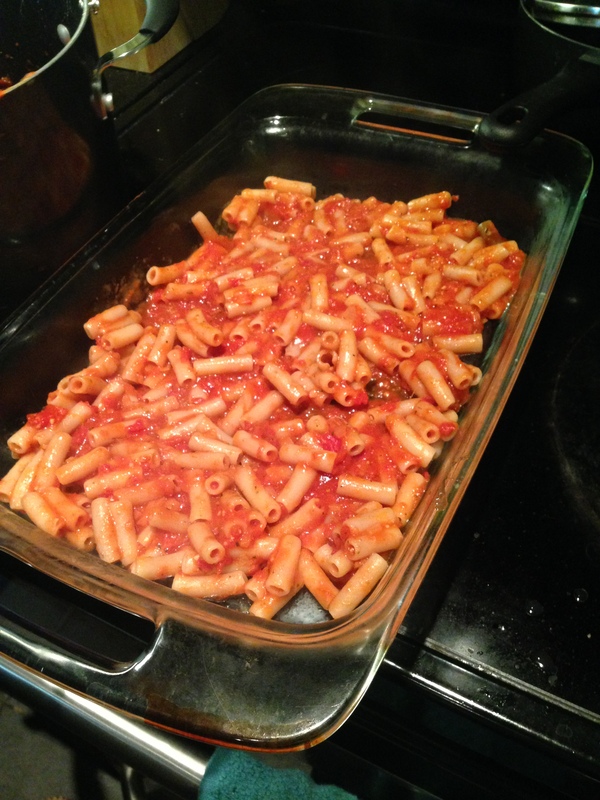 Stir sauce into pasta and mix well. 5. 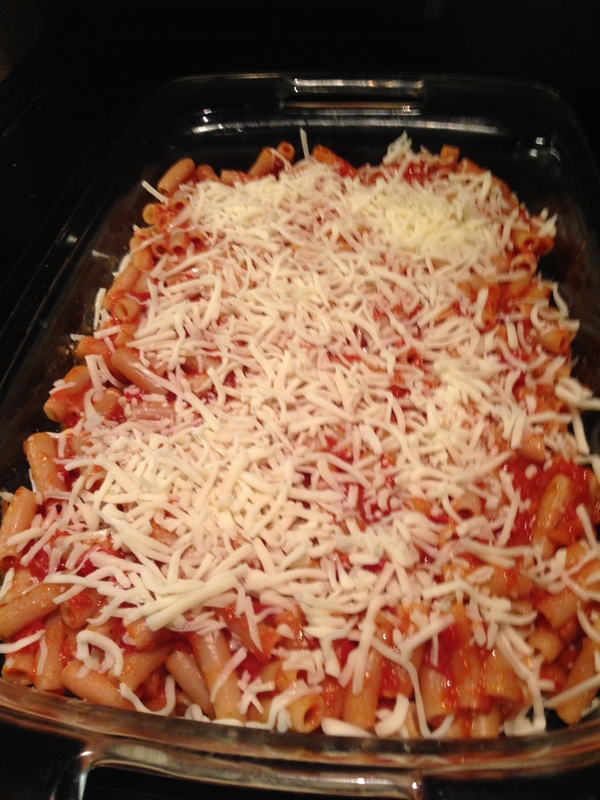 In a casserole dish, create a think layer of pasta on the bottom of the dish. Next, sprinkle a layer of cheese. 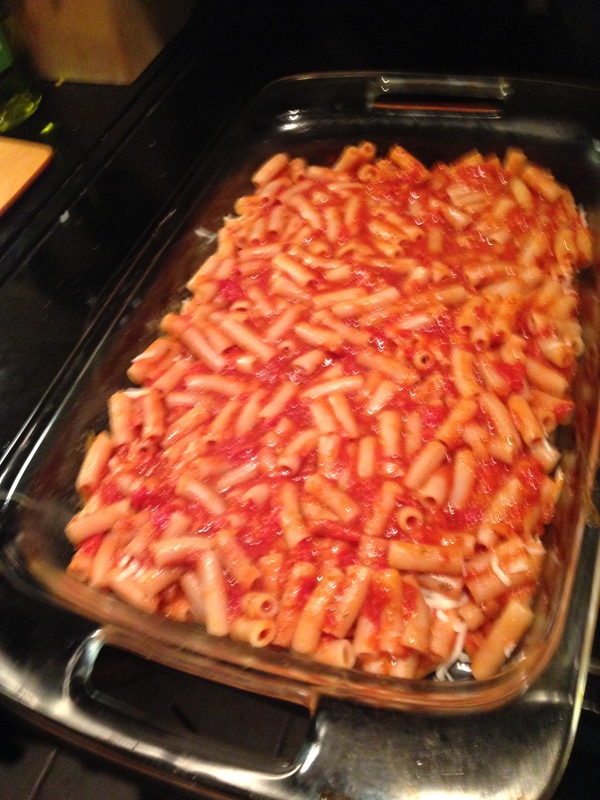 Then the rest of the pasta. Then the rest of the cheese. 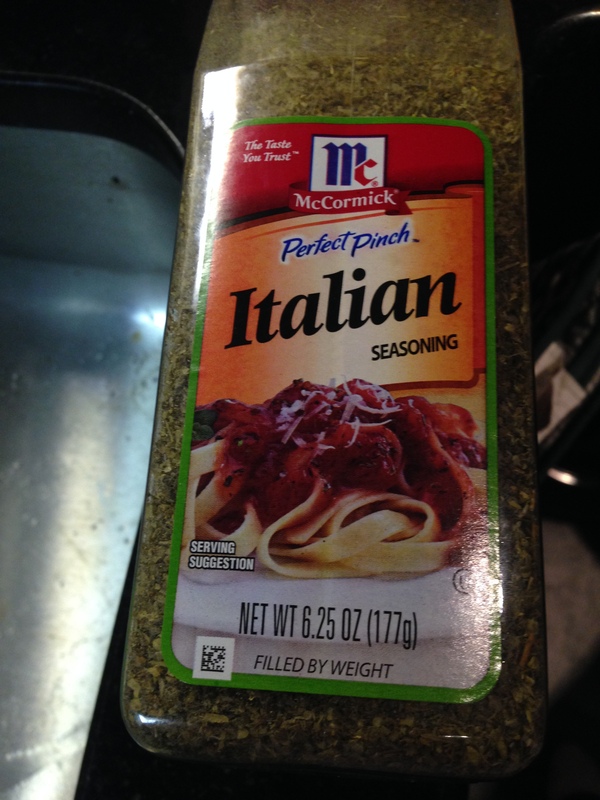 Top off with a little Italian Seasoning for good measure. 6. 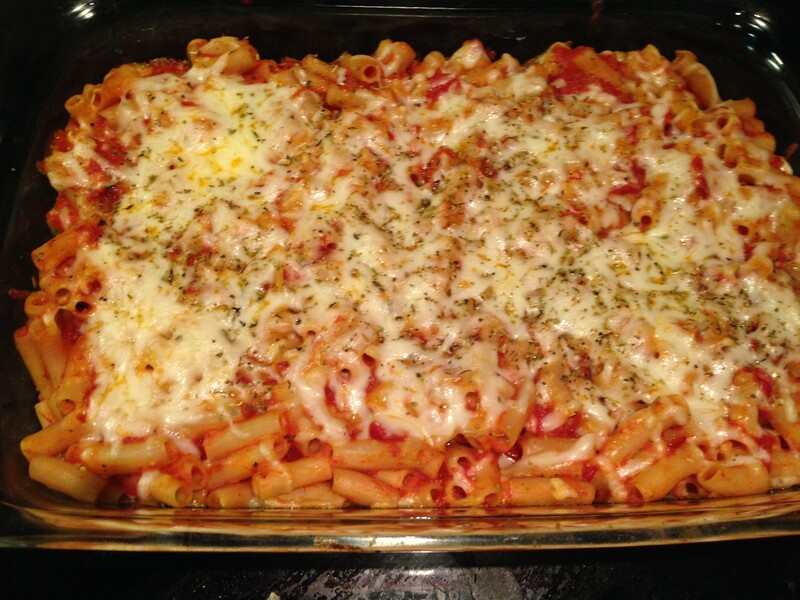 Bake until cheese is golden and bubbly, about 20 minutes. Perfect for some ol’ fashioned warm up food. This one is quick during the week if you get out of work on time! 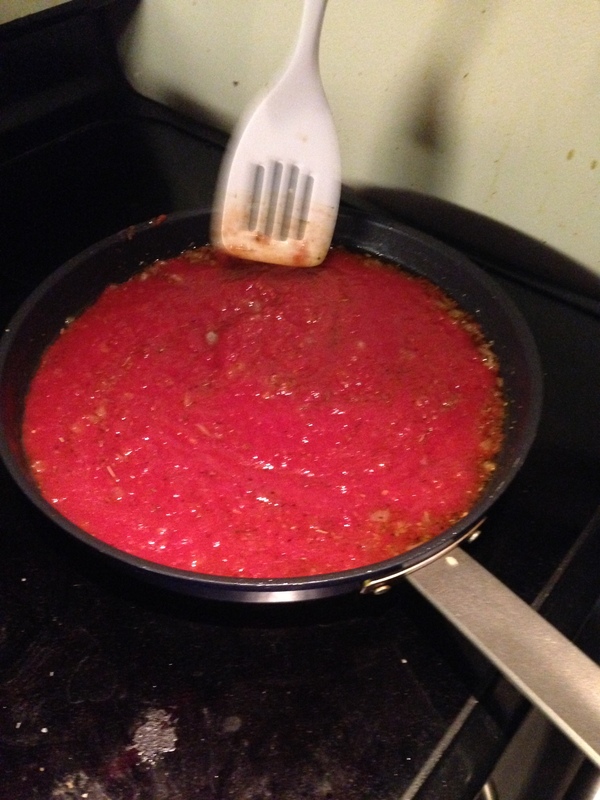 Also, Jacob suggests that if you add salt and pepper while you’re simmering the sauce, it will bring out the flavor. 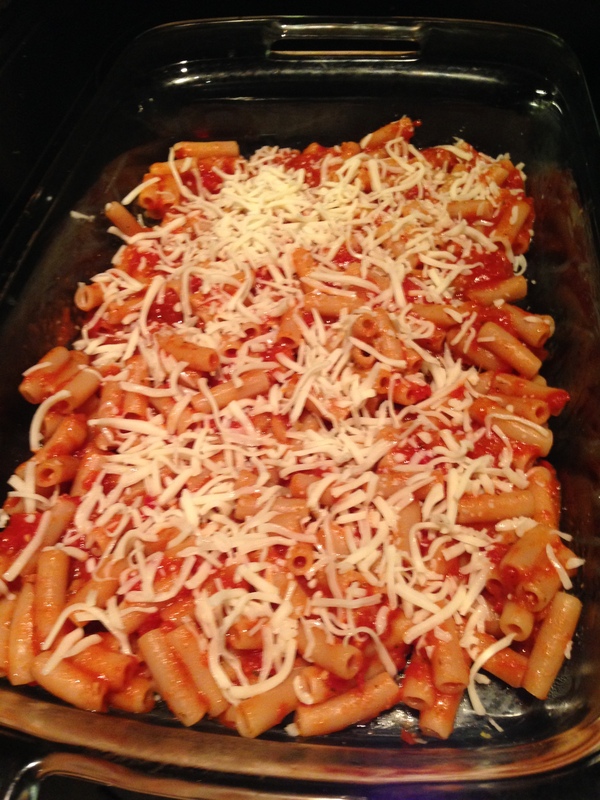 Add some Parmesan at the end for a little extra flavor! 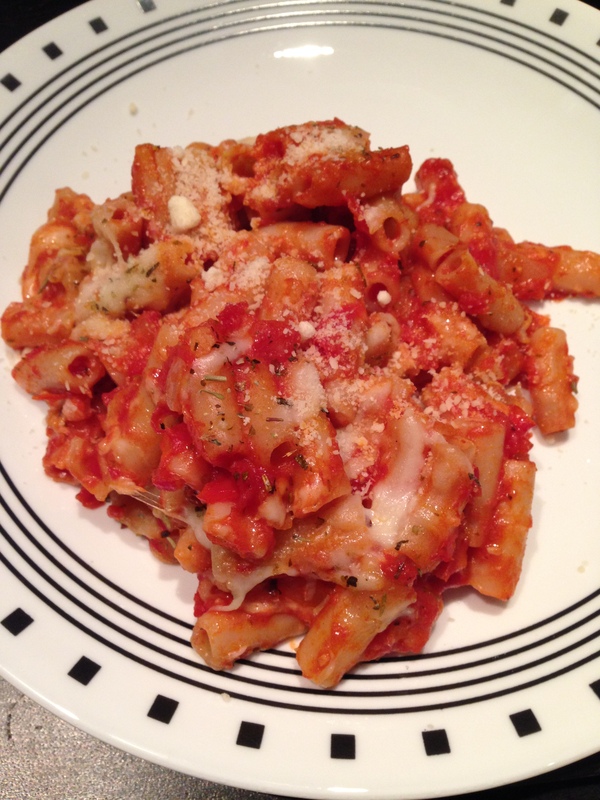 It depends what you’re into, but I find that some ricotta cheese (either mixed in above that middle layer of mozzarella or a dollop on top when served) can really amp it up and make it feel decadent!